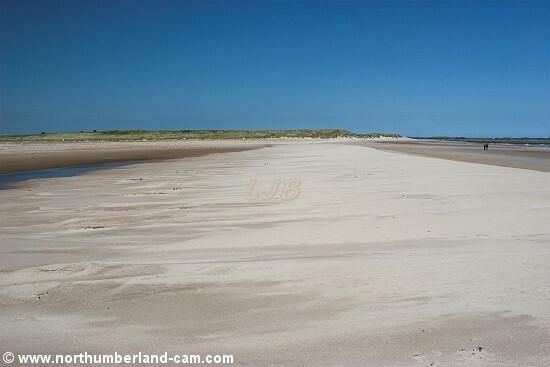 Ross Back Sands is a remote beach between Holy Island and Budle Bay, reached by a walk of about a mile along a footpath from the nearest (small) parking place at Ross. 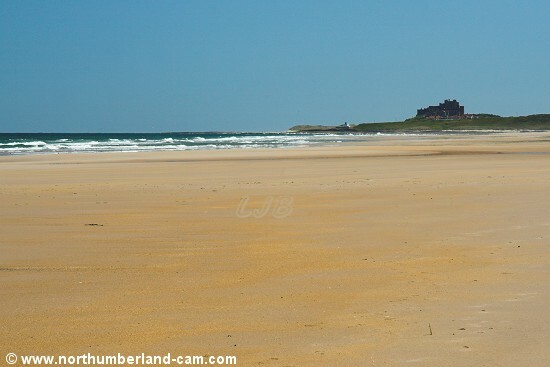 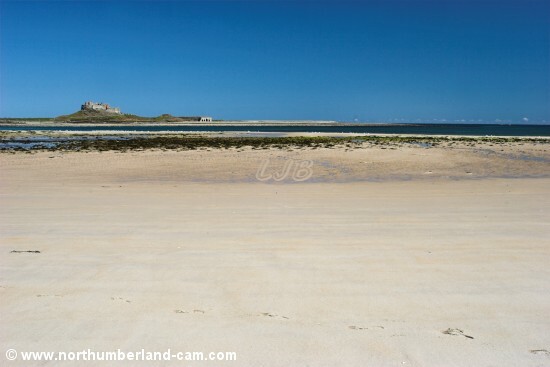 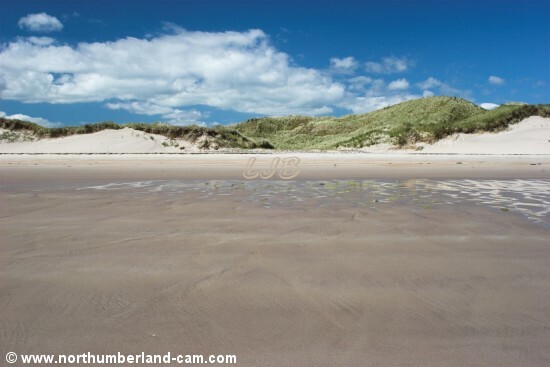 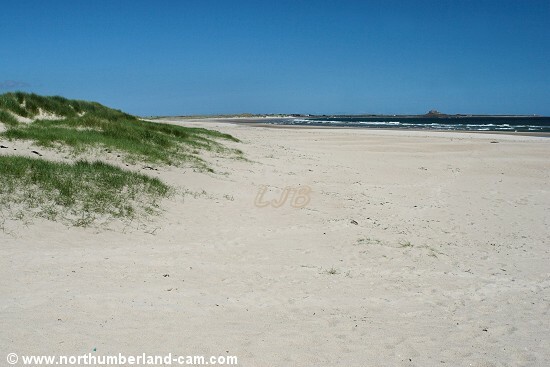 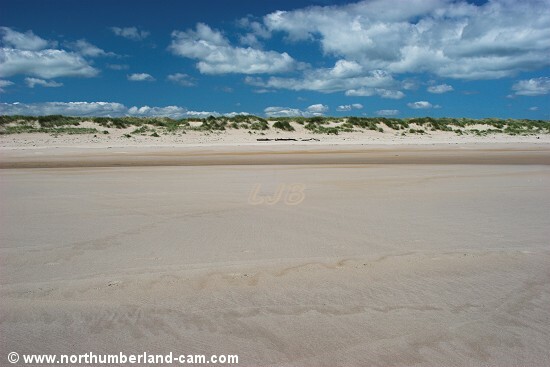 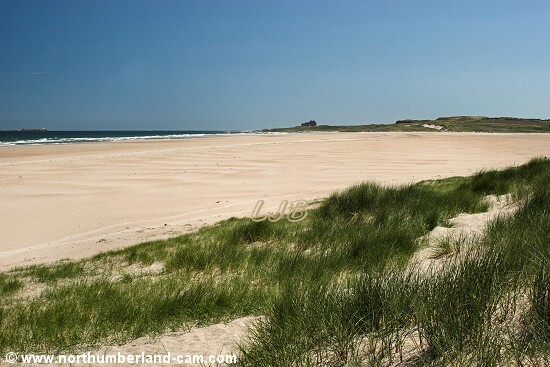 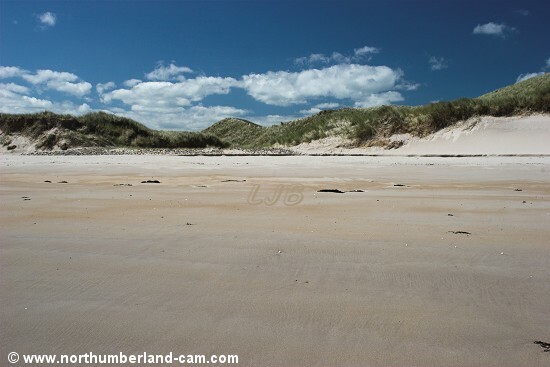 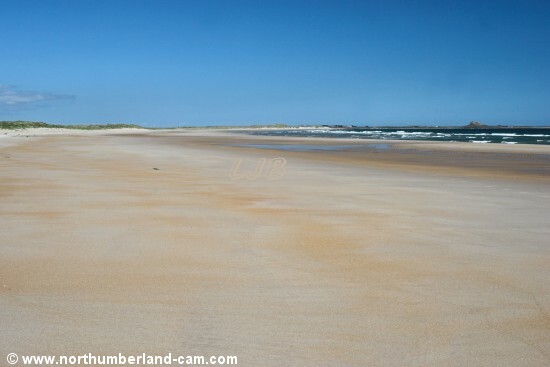 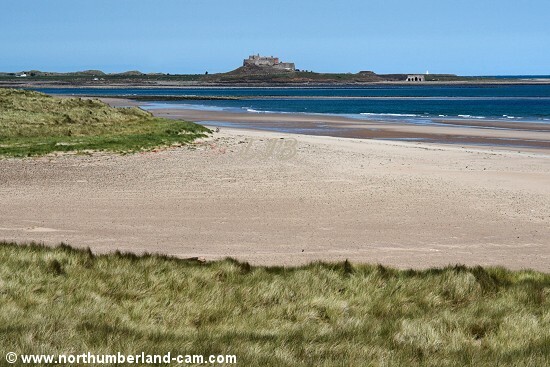 This is a superb beach with distant views of two castles - Bamburgh Castle to the south and Lindisfarne Castle on Holy Island to the north. 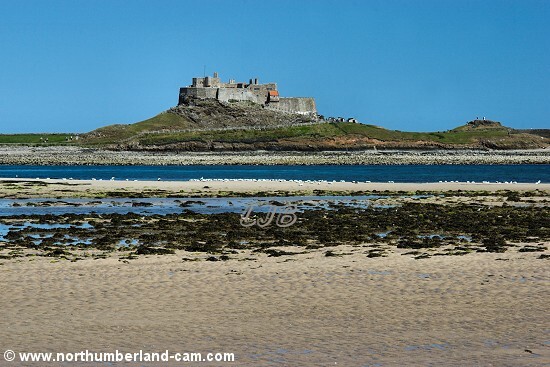 Both castles look as though they can be reached from the beach, but they can't. 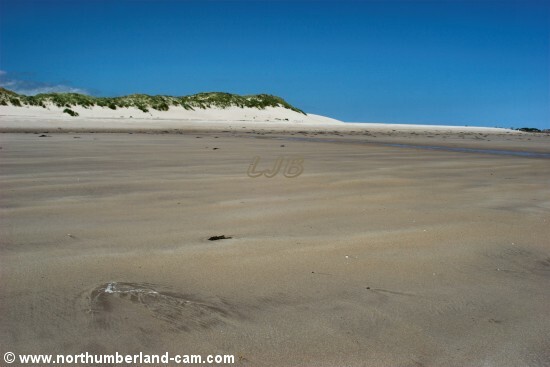 This beach is almost completely cut off from the rest of the coast. 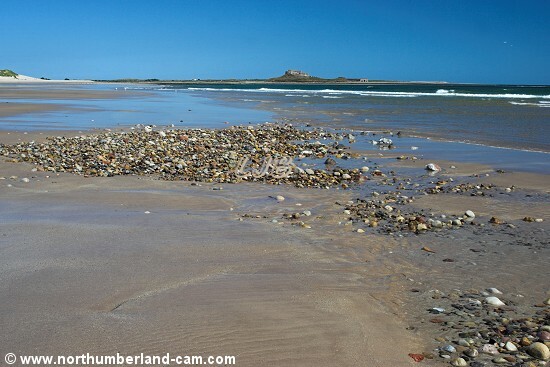 Birds nest on the shore in places and there are some signposted access restrictions at certain times of the year to prevent them being disturbed. 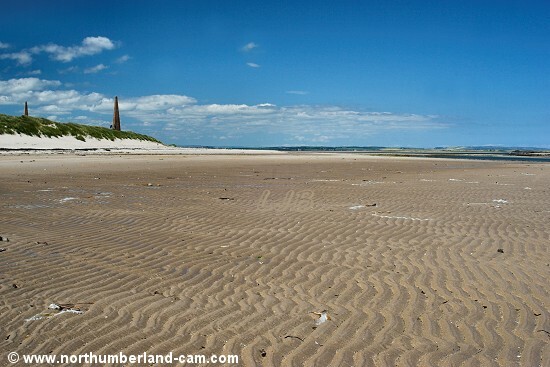 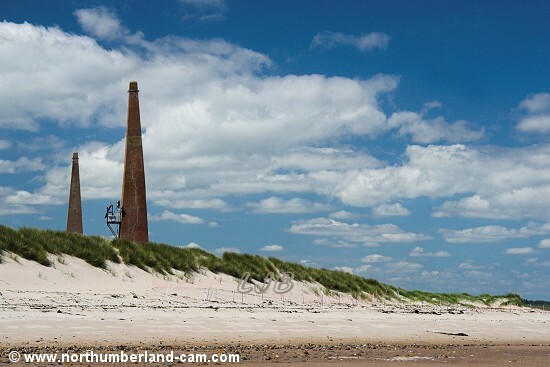 At the north end of the beach is Guile Point with it's distinctive navigation towers which guide boats to Holy Island Harbour. 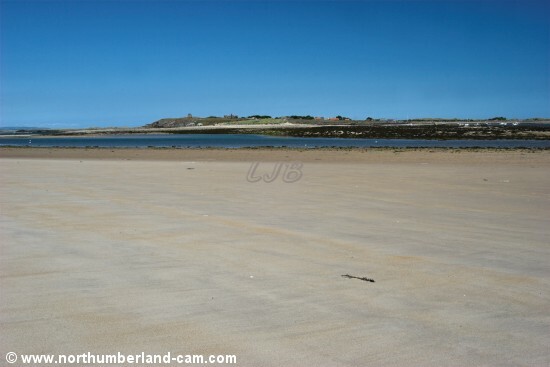 At the south end lie the mud and sand flats of Budle Bay. 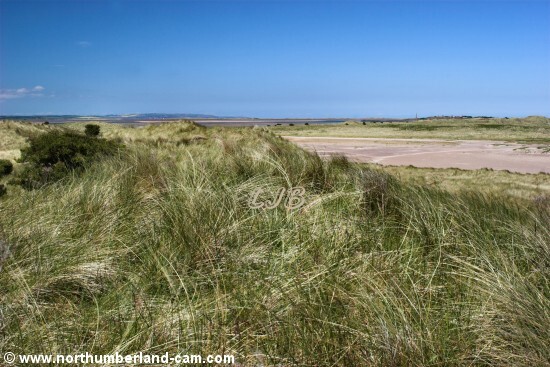 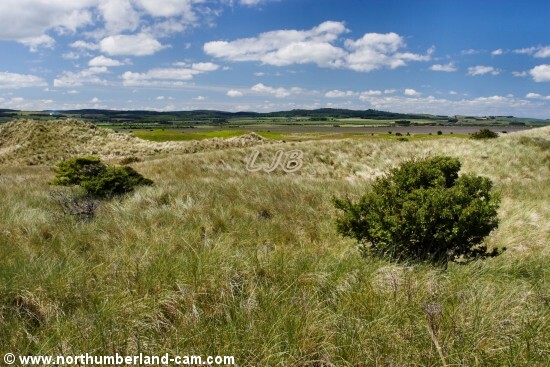 The view north to Holy Island from the path that leads through the dunes to the beach. 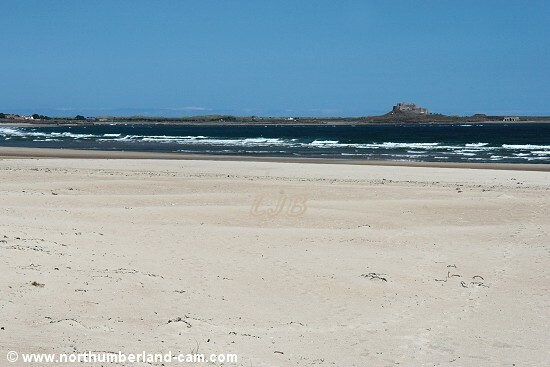 The View south to Bamburgh Castle from the same place. 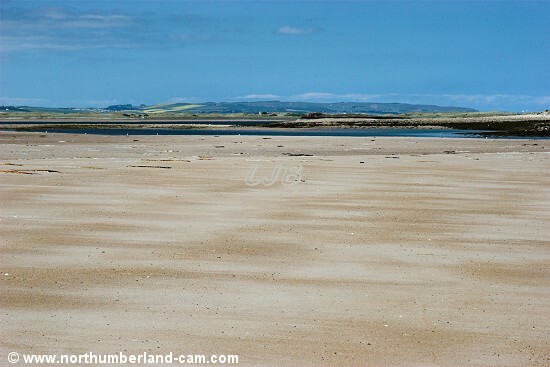 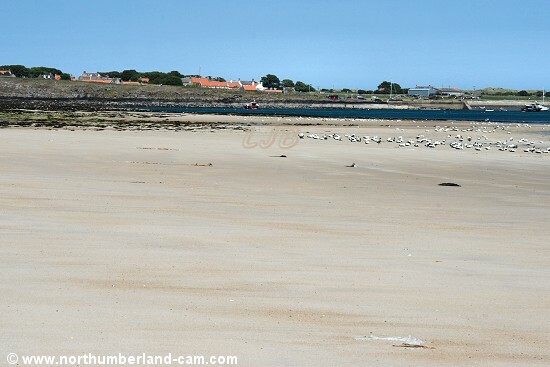 Views north along Ross Back Sands towards Holy Island. 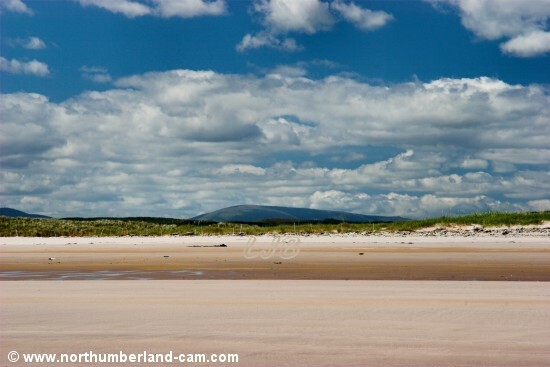 View of The Cheviot from the beach. 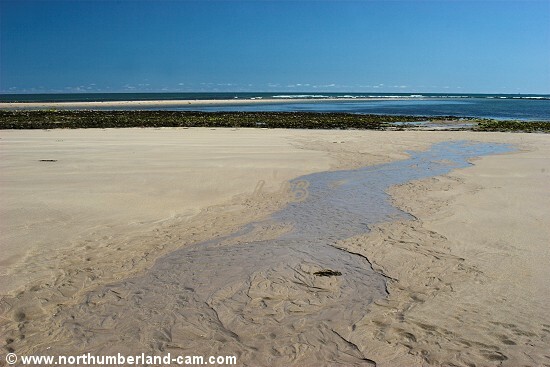 A stream running down the beach at low tide. 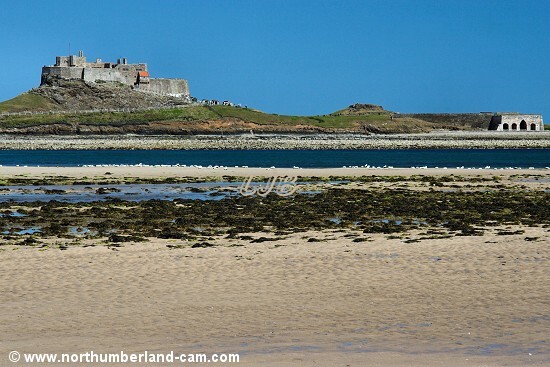 Lindisfarne Castle on Holy Island. 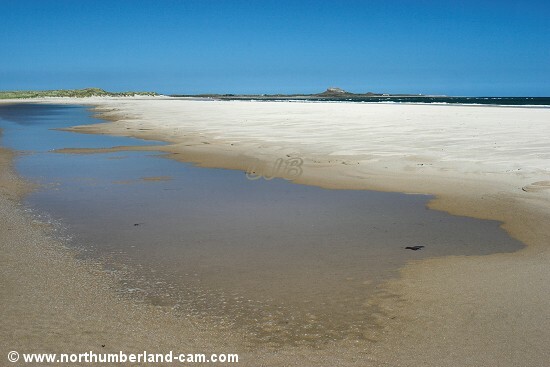 View from Guile Point to Holy Island. 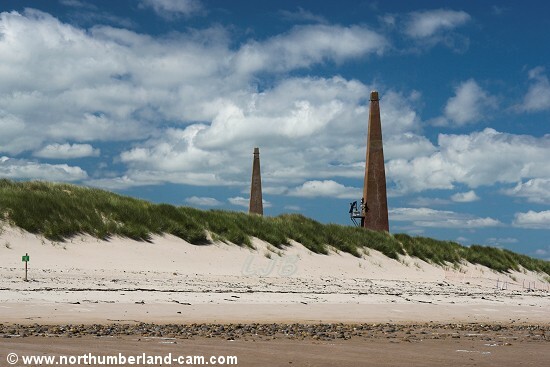 Guile Point and the two navigation towers that aid boats approaching Holy Island Harbour. 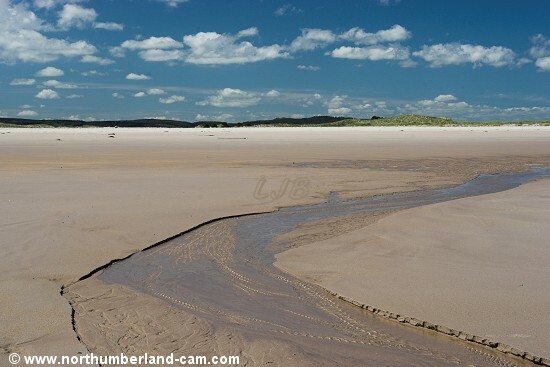 View to the sand bar known as Long Ridge at low tide. 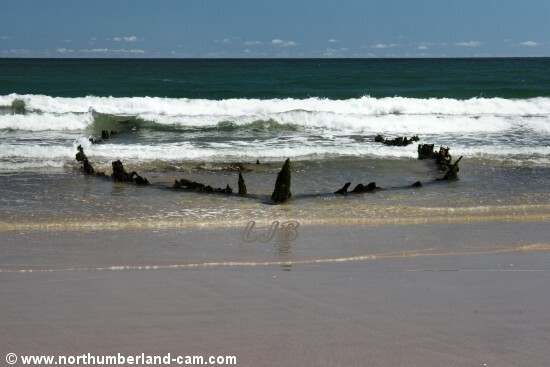 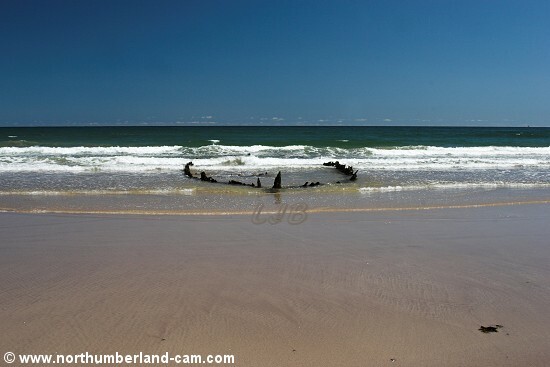 Shipwreck uncovered at low tide. 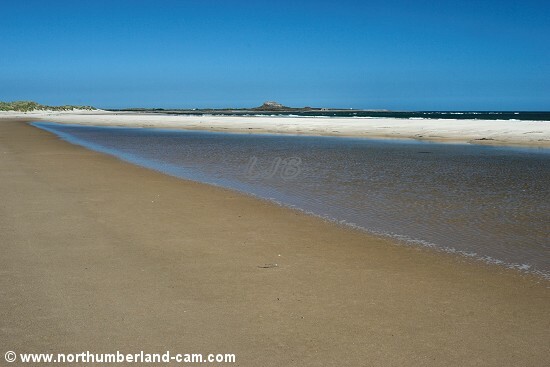 Beach pool behind a sand bar. 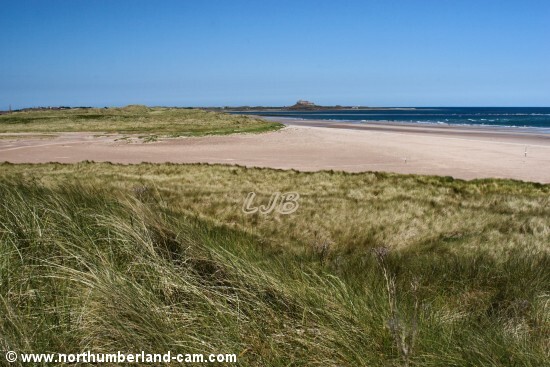 View across Ross Point to Holy Island. 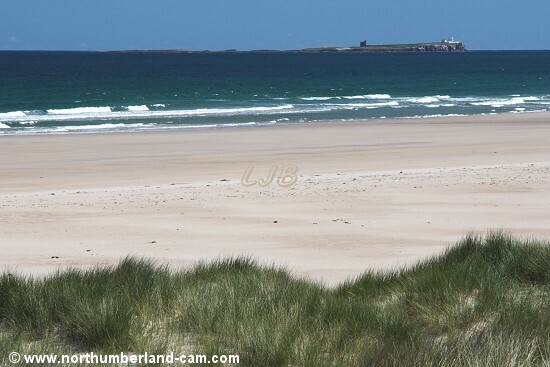 View across Ross Point to Guile Point. 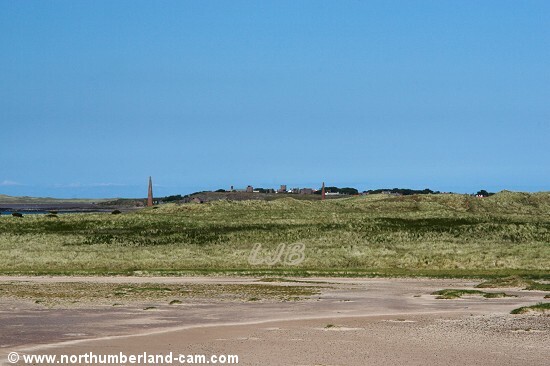 View inland to Fenham Flats. 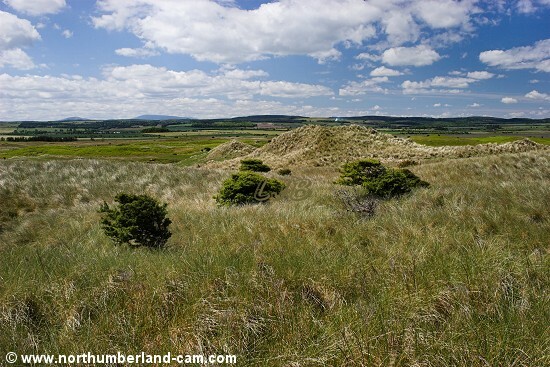 View inland to the Cheviot Hills. 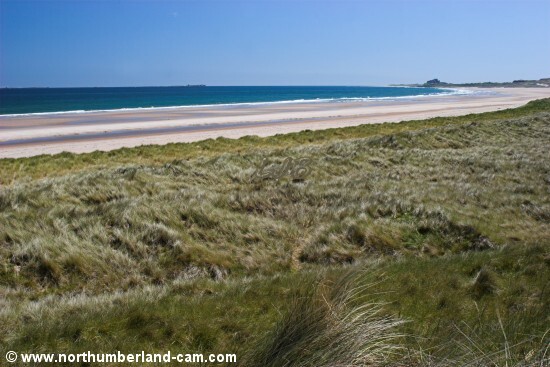 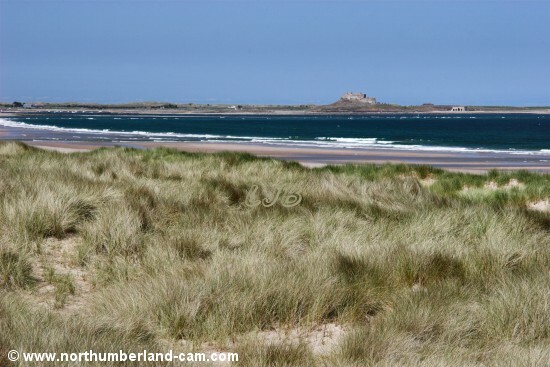 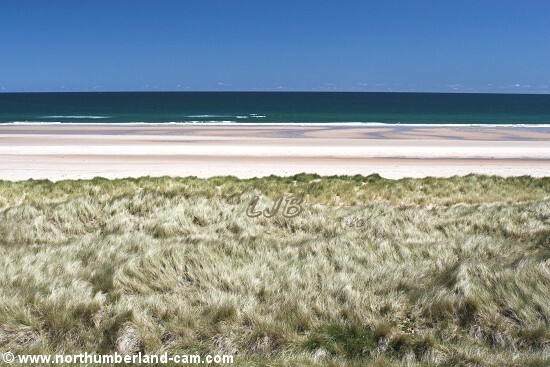 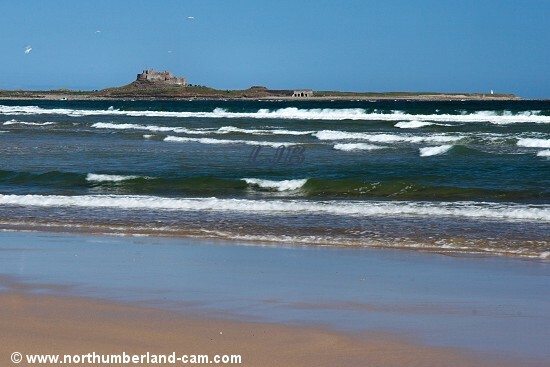 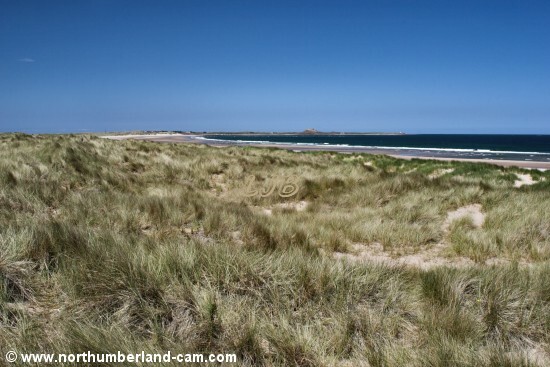 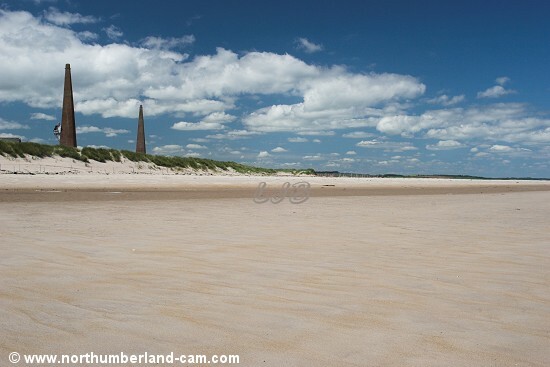 Views looking south across Budle Bay to Bamburgh Castle.